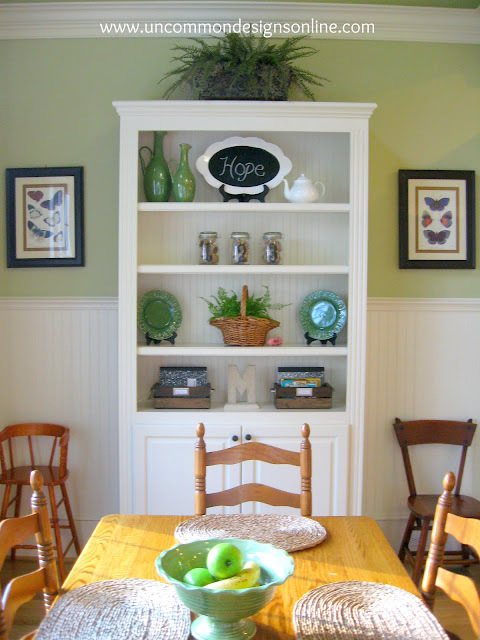 I am finally completing some craft projects for my home that have been on my “to-do” list for sometime now. 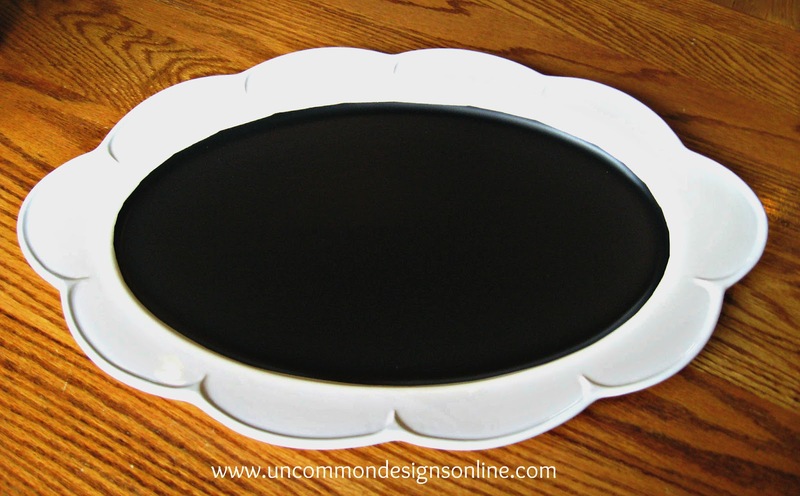 One of those was to turn a beautiful plate into an adorable chalkboard painted plate…. 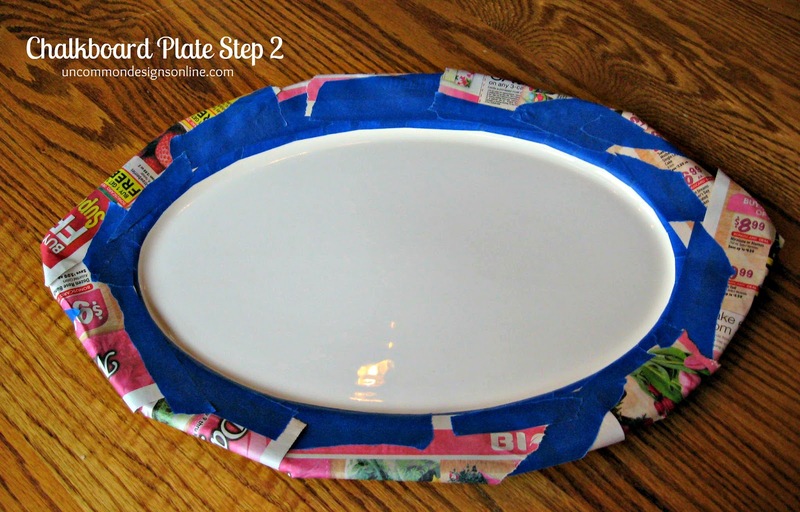 I used lots of little pieces of tape to make sure that I maintained the beautiful oval shape of the plate! Now I simply took the plate outside and placed it on a drop cloth and sprayed it with the Krylon Chalkboard Spray Paint! I followed the instructions on the spray paint that included painting multiple light coats and then allowing it all to dry for 24 hours. I waited to remove the tape and newspaper until it was thoroughly dry.. 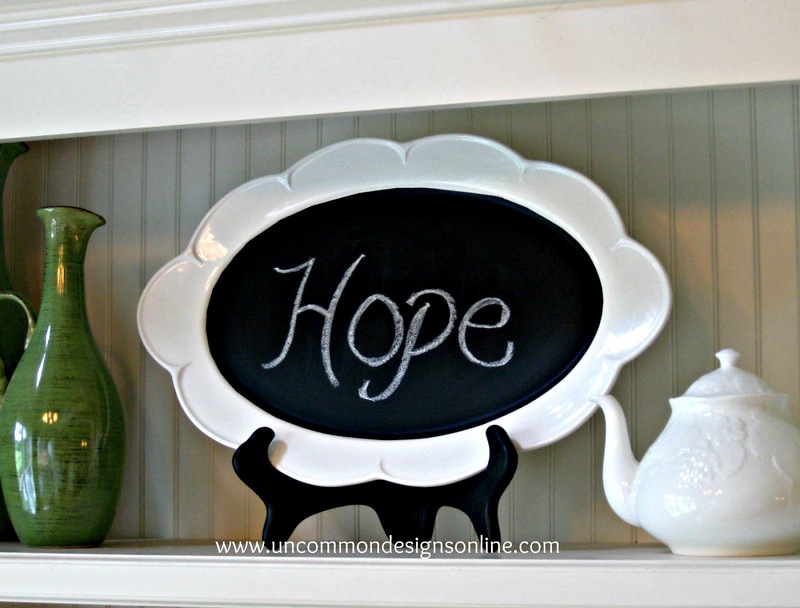 The scalloped edges of the chalkboard painted plate really make it stand out! I also love my sweet little Burlap Covered Letter and my Vintage DIY Crates! There is just something about chalkboards that instantly makes an area welcoming! So, what have you painted with chalkboard paint lately? So pretty and it looks terrific in your bookshelf. I love this so much! You could even use this for a cheese plate. Put parchment paper under each piece of cheese but then label the cheese on the platter! Great job, Bonnie! Thank you Shannon!! I really love it! My kids actually would love for me to change it daily…. 🙂 that is so cute! 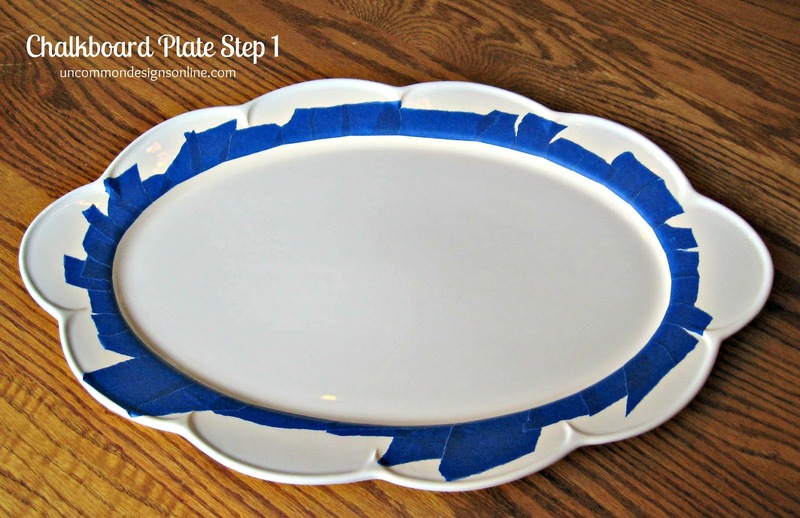 great idea for cute plates! looks so great! where did you find the platter? Looks great. Love how it looks in the cabinet. Love the plate thanks for sharing this at my link party. What a great idea!!! Can’t wait to try it myself!!! Thanks for sharing. 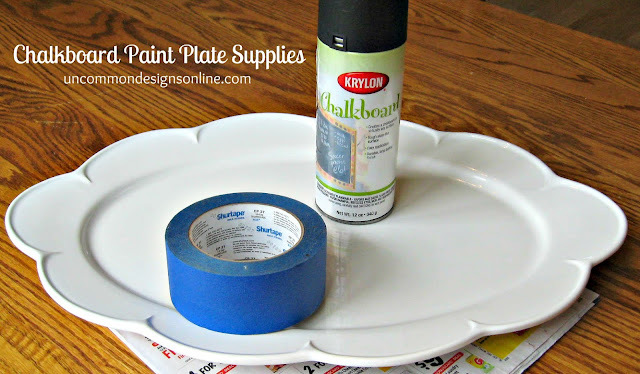 Thanks so much for sharing at our spray paint link party my friend! I am admittedly a DIY moron. I tried this with a plate, used painter’s tape and so on just like the tutorial, etc. When I removed the tape I was dismayed to see that the edge of the (now) black inner circle was not smooth and crisp. Any ideas or tips?